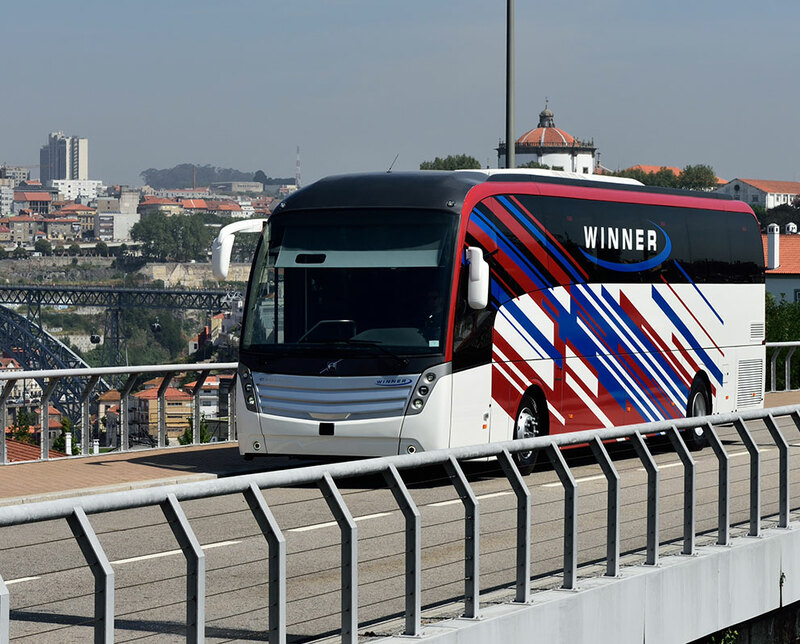 Winner was developed for tourism, intercity and school transport service. This coach stands out for its interior comfort, design, robustness and quality of materials. The lift platform on the front entrance steps (a CAETANO exclusive), the inclusive design for all passengers and the amphitheater effect completed by the ramp-up platform make this vehicle totally differentiating in its segment. In addition, its generous dimensions add additional comfort for passengers. 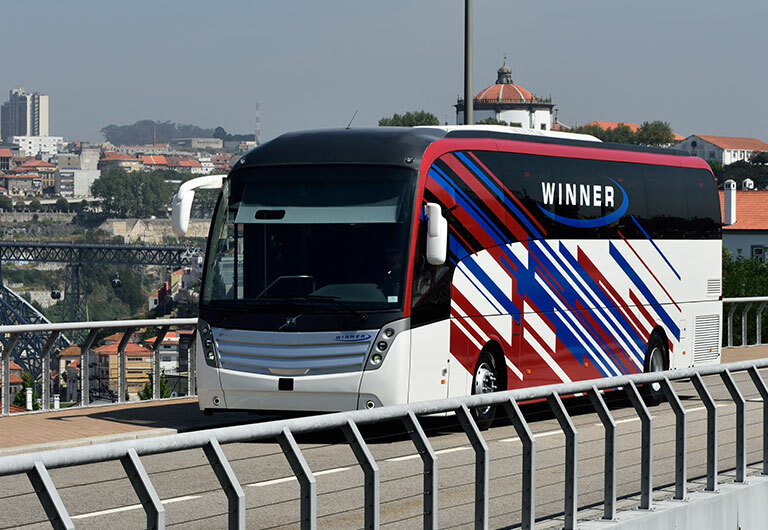 Winner is a reference of quality between passenger vehicles, winning on the road and showing the best that CaetanoBus does in transports Industry. Capacity/length ratio in which the different specifications of the vehicle do not compromise passenger comfort. Highly ergonomically designed seats, with the possibility of customization and triple function AC, allowing a comfortable journey for passengers. Seat with three-point belts for passengers. Pneumatic driver's seat, adjustable to various positions and three-point belt. High standard of safety and comfort, ideal for long-distance travel. Fluid lines, an aerodynamic front and a rounded rear contribute to the excellence of the design and improve vehicle performance. Rear and front grill: associate the need for good airflow with the identification of CAETANO bodies. Wide entrance through the front door, the largest in the market. Provision for application of lift platform by the front door, a CAETANO exclusive. Manufacturer reserves the right to change product specifications. Other versions on request. Provision for hydraulic lift platform mounted on the first step of the front door and possibility of fixing two wheelchairs at the beginning of each row (only available under Volvo platform).